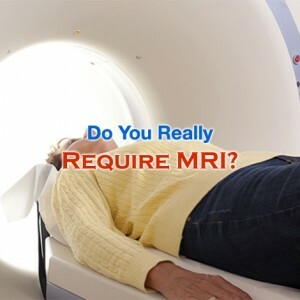 Home > E News > MRI – Is It Really Necessary Or Not? MGI is normally prescribed for diagnosing various diseases. But, it doesn’t mean that it is the best choice. When a person undergoes many tests, money is the not the only thing that the person gets effected. Along with spending huge money for test, that person may also be a victim of false positive test results. Moreover, just because a test is done for a condition normally, it doesn’t mean that it is the best way of treating that condition. Brian Callaghan, M.D., M.S. is neurologist at University of Michigan. Lindsey De Lott, M.D., Kevin Kerber, M.D., M.S., James Burke, MD., M.S. and Lesli Skolarus, M.D., M.S., are the additional members of Callaghan’s team. Callaghan is helping lead a national push to determine what are the various neurological tests and services that are over performed than necessary. This is an outcome of a campaign known as Choosing Wisely, which is an initiative of ABIM Foundation. Choosing Wisely is working along with more than 70 medical specialty societies for this campaign. This campaign encourages discussions between clinicians and patients about avoiding wasteful and unnecessary medical tests, treatments, and procedures. All these societies, which also included American Academy of Neurology, got together to identity list of 5 unnecessary medical services. Some societies listed 2 items; some listed 3 items and few with even 5 items. The first list which the Callaghan’s neurology group started with was the list submitted by American Academy of Neurology. Next, they looked in the various 74 items that were recommended by various societies about neurological care units. These societies also included the American Academy of Sleep Medicine and the American Academy of Neurological Surgeons. Most of these 74 items were duplicates. This might indicate the consensus of area to focus on. Callaghan said that imaging for lower back pain and for headaches are the 2 major areas, where imaging is done more than it should be. And even added that this is a big problem, and people are spending a lot of money in imaging; nearly a billion dollars are spent for just imaging of headache. Opioids and painkiller medications are other test/treatments that are too over done. Lower back pain, Headaches, Dementia/delirium, Stroke, and Concussion are the most regularly appearing diseases/symptoms. This doesn’t mean that Callaghan and his colleagues are encouraging patients to not to undergo MRI as suggested by doctor, but instead they are expecting to involve in more discussions between doctor and patient regarding specific test. Callaghan said that it is very quick to order a MRI for headache, and it takes longer to describe to the patients that going for MRI is not the best option available. Guidelines suggested by Callaghan are meant to trigger conversation between both doctor and patient. Next step is to make discussions between doctor and patient going on. So, Callaghan’s group is researching in how to make it easier for the doctor to follow these guidelines. Callaghan said that these are the areas, where many doctors agreed that patients are more likely to get harmed by undergoing these procedures. Callaghan’s group came up with areas, which included neuromuscular diseases, movement disorders, multiple sclerosis, and epilepsy that require recommendations.